This year Tufts will have 50 community members running in the 2018 Boston Marathon, according to Don Megerle, coach of the Tufts Marathon Team (TMT). 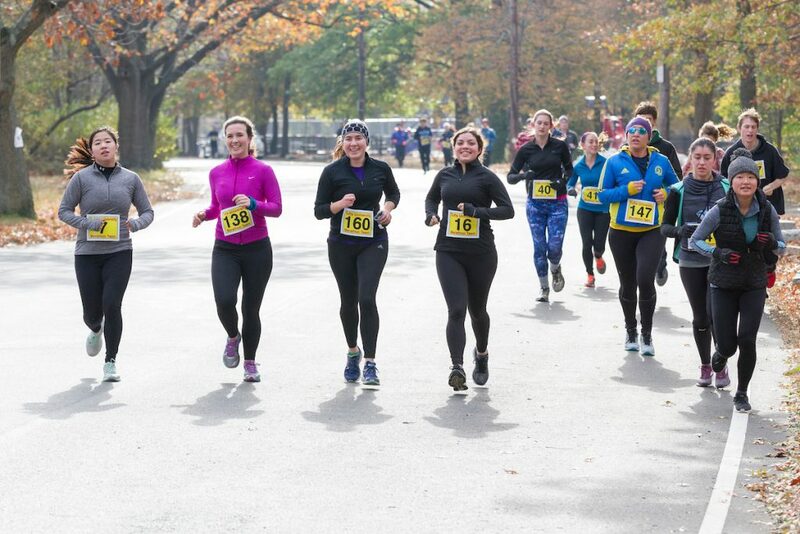 According to Megerle, who became the team’s coach in 2003 after former University President Lawrence Bacow started a running group the year prior, 50 participants is a large increase over the past two years. This year, John Hancock, a financial group that sponsors a marathon non-profit program, has allotted these 50 bibs for runners representing Tufts, Megerle said. With a large cohort of regular runners who take part in the TMT training runs, which take place on Sunday, Tuesday and Wednesday, Megerle said making a decision about who gets a bib is never easy. According to Megerle, current Tufts students have to raise $1,500, while all other runners must raise $5,000. However, Megerle noted this is not nearly as much as other charity-affiliated runners, who often have to fundraise upwards of $10,000. A large portion of Tufts’ contribution comes from university fundraising. For Claire Whitney, who graduated from the Friedman School of Nutrition Science and Policy in 2016 and ran the 2017 Boston Marathon, fundraising as an alumna was stressful given the $5,000 goal, but was also a worthwhile cause. During the 2017 marathon season, the team raised $382,219 and since its inception in 2003 has raised more than $5,639,358, according to the TMT’s fundraising page. The TMT is the largest known collegiate marathon program in the United States. While Tufts’ bib allotment is limited, Megerle said things often have a way of working out for those who aren’t selected to represent Tufts, and sometimes those who train with TMT end up running the Boston Marathon for other charities or organizations. As a first-year, junior Kayla Nicoletti was able to run the 2016 Boston Marathon for an organization called Golf Fights Cancer. Although she did not run for Tufts, Nicoletti trained with and is an active member of the TMT, which she considers a second family. For Nicoletti, Whitney and many other runners, whose photos cover the walls of Megerle’s office, running the Boston Marathon is an incredible opportunity, but so is having the chance to train with Megerle. Both Nicoletti and Whitney emphasized Megerle’s role in helping them achieve their marathon goals and what an integral part he has been for their TMT experiences. Megerle also feels thankful for the more than 2,000 people he has trained to successfully complete the Boston Marathon over the past 14 years.